How Often Should You Rotate Workout Routines? If you're easily bored, you may need to rotate your workout more often. A friend of yours swears by her personal trainer who "never has her do the same exercise twice in a row." After doing the same routine for months, you decided to try it her way. Now you're sore all the time, and, worse, not seeing results. So who's got the right approach? The answer is it depends on your fitness level, how long you've been at it, what you want to achieve, and, to a certain extent, your personality. 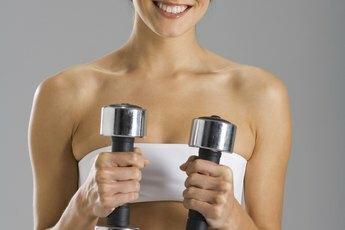 If you're just starting out, and your goal is to achieve a healthy level of fitness, that is, you don't really need to lose weight, but you do need to get into good habits to maintain cardiorespiratory health and general muscle fitness, then you don't need to rotate your routine all that often. Beginners should stay with the same program of cardio and resistance training for at least six and as much as eight weeks. It takes time to learn proper form and execution, and changing too often will make that difficult. In addition, you need to build gradually to avoid injuries. If you're happy with your fitness level and just need to maintain it, no matter what your friend tells you, you really don't need to rotate your program any more often than every four to six weeks. If you're training for a sport, or your goal is to constantly improve, then you'll need to challenge your muscles more. But as Travis Steffen of WorkoutBOX points out, it still isn't necessary to rotate your entire routine more often than every four to eight weeks. But you will need to challenge yourself with variations. With cardio this might mean varying between endurance and interval training within the same week. 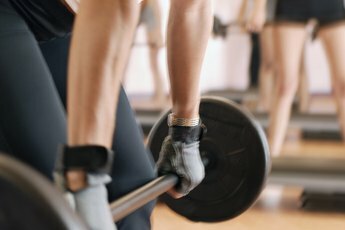 With your resistance training, it would mean increasing the weight, the number of repetitions, the number of sets or the number of exercises you do for each muscle. For example, if you're interested in building muscle, and you're currently doing just triceps kickback, add overhead triceps extensions. The main problem with rotating your routine too often is that you don't allow enough time to see the benefits. The reason for rotations is that different exercises challenge the same muscles in slightly different ways. So constantly changing won't be as effective. Also, different people respond to different exercises in different ways. For you, the lat row may be less effective than lat pulldowns, so if you are constantly changing between the two, you'll be challenging yourself less on a regular basis. However, if you're the type who gets bored easily, keep your rotations to the short side -- every four weeks, rather than every six to eight -- and consider going with the two exercises for each muscle. While rotating your workout more than every four to six weeks can be ineffective, doing the same routine for months at a time will most certainly cause you to plateau. Monitor your workout carefully and never allow yourself to go more than two months without a rotation. Move on more quickly whenever you find a certain exercise no longer feels challenging or is simply boring you to the point that you aren't challenging yourself. And never stick with an exercise that doesn't work for you. While it could take several weeks to see full results, if you don't feel some improvement within a couple weeks, or an exercise or machine just doesn't "feel right," try something else. WorkoutBOX: How Often Should I Change My Workout Routine? How Often Each Week Do You Train With a Personal Trainer? How Often Should Job Rotation Take Place? When Do You Do Cardio X in P90X?